The Indian Premier League (IPL) 2017 is one of the most awaited and fascinating cricket-lover’s sport which keeps you hooked to analyse the performances of the star performers playing on the field. Even the renowned cricketer AB de Villiers has coined IPL tournament is the University of World Cricket and considers playing in it is synonymous to achieving MBA in cricket. As a management graduate you must not miss the opportunity to learn interesting management lessons from IPL cricketers and matches. A report from Business Standard says that, IPL 2017 has registered a cumulative reach of 386 million, a marked increase over last year’s cumulative reach of 335 million for the first 43 matches (first five weeks). With this huge viewership, the game has lot to offer to cricket fanatics. If you love watching IPL, then as a future manager use the power of observation and understand this game as a strategy and put it to practise. 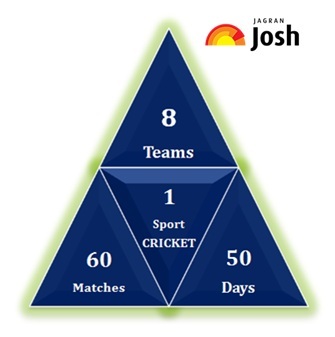 ‘MBA’ in Cricket or ‘Cricket’ in MBA ? The IPL is based on simple rules of cricket but offers great management lessons that would be of interest for the corporate world. After all, the game involves big money of influential corporate honchos like Ambani and Bollywood stalwarts like Khan. As a future management, it is important for you to analyse the life-situation from managerial perspective. These managerial lessons from the IPL game will surely help you in better decision making and understanding the game as a strategy and not just a source of entertainment. Mumbai Indians become first team in history to win 100 T20 matches in the IPL 2017 season. 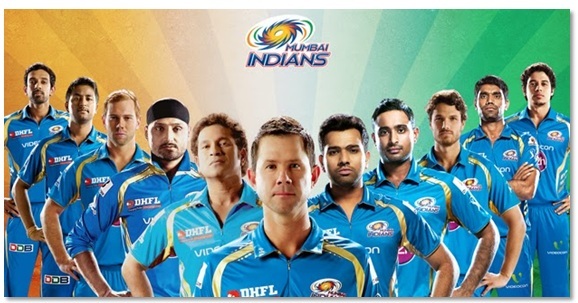 The success of Mumbai Indians can be attributed to the team effort put in by all the enthusiastic players. The Mumbai Indians defeated Kolkata Knight Riders (KKR) on May 13 at the Eden Gardens by 9 runs in their final match of the league. It is known that Mumbai Indians have been the team to beat in this IPL. As a proof they have had nine different ‘Man-of-the-Match’ winners from 14 games with only Simmons winning two, which shows that the team in not reliant on any particular player. Corporate Lesson: Likewise, the success of an organisation cannot be defined with one man army. In an organization, strength and weakness of each person shall be identified to put them into their best roles and formulate the best team. It is the team work and synergic effect which leads to the achievement of the overall results. As a future manager when you will be entrusted the responsibility of constituting a team to accomplish a project, always chose those people keeping in view that there has to be optimal contribution of that person. If a member is not being deployed optimally, it means there is room for improvement. To get the best out of your team, it is necessary that the roles are clearly defined and the expectations spelt out. The world hates change, yet it is the only thing that has brought progress. In the recent IPL game, it was seen that ‘Rising Pune’ team is leaving no stone unturned to put up a best show in the 10th edition of the tournament. Pune picked a lot of fresh faces in the auction and also removed MS Dhoni from the captaincy and made way for Australia's captain Steve Smith. At present, the team is leading on 2nd position in the tournament. Corporate Takeaway: Holding on to positions on account of past performance is purely not acceptable either in sports or corporate arena. Even Microsoft founder Bill Gates decided to step down and let Steve Ballmer lead the company to the future. Tata group Chairman also stepped down to let Cyrus Mistry take the lead. But when the issues went awry, he regained his position to decide the next heir of the conglomerate. Change is important for any organization/game/event/movie because, without change, businesses would likely lose their competitive edge and eventually lose the loyal base of customers. 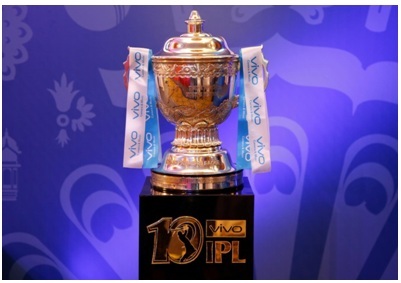 IPL is one game which religiously follows the mantra of branding. 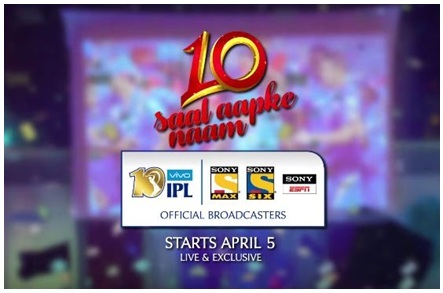 Like other sport events position themselves with viral audios and videos such as ‘Wakka Wakka’ for FIFA World Cup, this IPL season, is promoting itself as ‘Ye das saal apke naam’. This marketing strategy has been used by them wittily to honour the viewers that it is their constant love and support which has helped them come a long way. The IPL theme song’s success can be attributed to Benny Dayal, Salim Merchant, Sulaiman Merchant. Corporate Takeaway: Among the 4Ps of marketing, promotion is the heart of marketing. It will create a lasting brand image in the minds of the customer that will help you emerge as a winner in the marketplace to capture the market share. Video and audio are top media on the charts when it comes to viral marketing. So if you want to take your brand to the masses, you need to create a brand concept with which the masses can easily relate and apply in their daily lives. This does apply even to B2B companies. Be it B2B or B2C it is all about people to people. So, break the barricades of B2B and B2C and think about people to people marketing. Once Napoleon Hill defined the winning attitude in simple words stating that “A quitter never wins-and-a winner never quits”. For any player, who is a part of IPL, a winning attitude is a must. The team efforts will only emerge as successful if each and every player will believe that they are playing to rise victorious. Corporate Takeaway: Winning attitude is an essential ingredient for achieving success in business as well. As an entrepreneur, you must have the confidence to invest in the business and raise venture funding for the idea on which you plan to work. You must involve people with winning attitude in your team because it’s their halo which will eventually help you rise against the odds. Kentucky Fried Chicken (KFC) did not see success overnight. 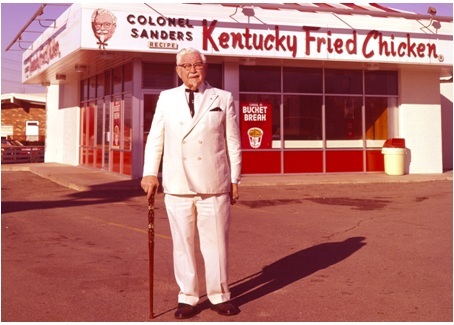 Colonel Sanders began the business with the first social security cheque that he received at the age of 65 years. He faced 1009 NO’s before listening the first YES in his life. In IPL we often see that when a batsman hits fours and sixes or takes wickets, cheerleaders are there to cheer them up on their efforts. In addition, there is a ‘Man of the Match’ which is announced at the end of the game. The list of awards and prizes has been made official by BCCI stating that the winning team will receive Rs 15 crore while the losing finalist gets Rs 10 crore. Each of the 60 matches at IPL 2017 will have awards with trophies and prize money handed out to players. Corporate Takeaway: While the players are rewarded for their outstanding performances, managers should be on the forefront when it comes to appreciation and enhancing the motivation of employees. The employers should motivate their employees with proper trainings, appraisals and performance bonuses. So we wish all the luck to your favourite team to win the 10th edition of the IPL tournament and you as a future manager must remind yourself about the lessons that will help you make your corporate life a pitch of cricket playing field. Subscribe with us and get to read more interesting stories and management lessons from real-life scenarios.